The use of Audible Pest Bird Scaring Deterrent systems can be an effective method of controlling pest birds such as gulls and feral pigeons on large low pitch or flat roofs. Pest bird scaring involves dispersing pest birds by using stimuli that make them uncomfortable. These systems can be audible or visual. In the case of audible bird scaring deterrent systems, the stimulus is the sound of the target birds distress call or the attack sounds of a predator bird such as a bird of prey. 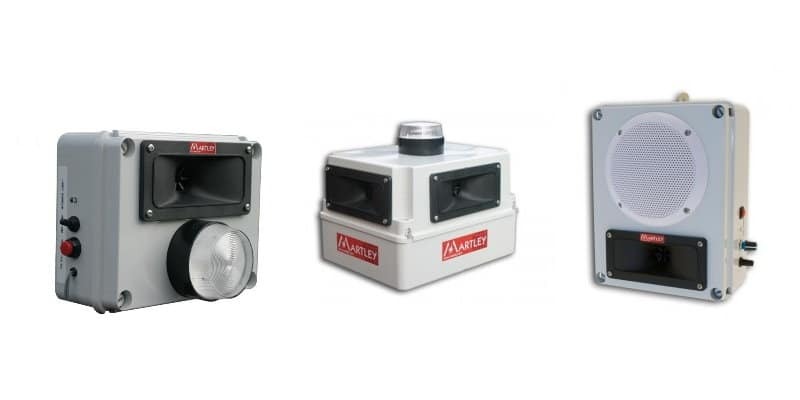 Audible bird scaring deterrent systems use a variety of different noises to frighten pest birds and keep them away from your property. From predator bird calls and distress calls to unfamiliar loud noises like a gun firing, these sounds are a sure-fire way of stopping birds from getting too comfortable in a certain area. 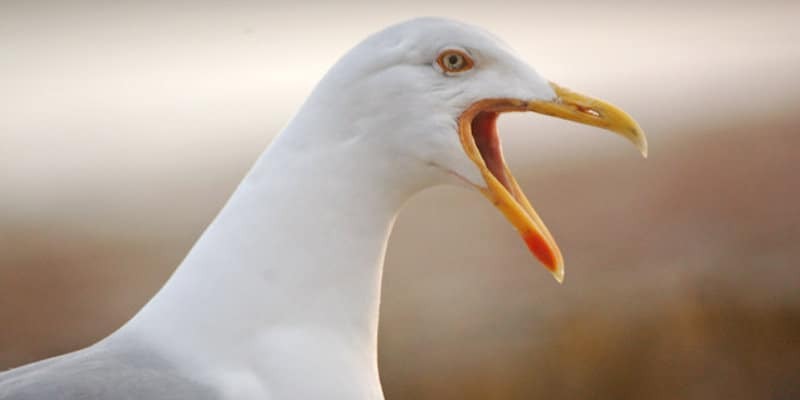 Systems using one of these noises, or a combination of them in a strategic fashion, can be a highly successful method of pest bird control for certain species such as gulls. Some systems on the market claim that they can scare birds off through the use of ultrasonic waves. However, most birds have a similar hearing range to humans- so if people can’t hear these devices, neither can birds. Ultrasonic sound generators are therefore effectively useless at dispersing pest birds. If you want to use sound to keep pest birds away, then your only option is to use an audible bird scaring system. One of the key advantages of these audible pest bird scaring systems is that they can be tailored to the specific needs of a particular site. Unlike nets or spikes, which are only suited to some buildings, audio systems can be more easily fitted on unusually-shaped properties, or only target key areas where pest birds are posing a specific problem. That being said, audible bird scaring systems are not always the best option. It is important to have a professional conduct a full survey of the property, to look at factors that may limit the success of the system. This is why Pest Solutions always perform free surveys before we start work. That way, we can come up with the best possible solution to your individual pest problem, to ensure that we always deliver top-quality results. One of the important things to consider before installing an audible bird scaring system is the surrounding environment. For instance, if there are houses close by to your property, then an audio system might lead to noise complaints. The bird populations on neighbouring buildings might also have an impact on the effectiveness of audible bird scaring deterrents. Fortunately, you don’t have to worry about any of these factors yourself. Instead, let the experts at Pest Solutions bring our expertise to the table and guide you towards the best possible choice for your pest bird control needs. For a FREE survey to assess the suitability of Audible Bird Scaring Deterrent systems, simply get in touch today and we will be happy to help. Pest Solutions, the Pest Bird Control Specialists, carry out all aspects of Pest Bird Control throughout Scotland and the UK. We can provide and install all aspects of the audible bird scaring deterrent systems, as well as other pest bird deterrent systems which might prove to be more effective. Contact us today for more information or a FREE survey. Our expert team of pest bird control specialists are highly trained and carry IPAF and PASMA certification to ensure that all work carried out at heights is done in a professional and safe manner. Pest Solutions are also Safe Contractor approved to ensure that all work is carried out safely. Pest Solutions have a highly skilled staff of fully trained pest control technicians here that can help rid you of any pest and pest bird-related issues. Audible bird scaring deterrent systems can be an effective solution against unwanted bird species. With local offices in 22 cities all through Glasgow, Scotland and the United Kingdom, Pest Solutions provide you with a rapid response service to completely eliminate those pests that may be affecting your home or business. Find your local branch here or call Freephone 0800 027 2555 or 0141 891 8712 today to arrange a FREE Survey or a service call.